Do you regularly experience pain in your hips and lower back? If so, you could very well be suffering from sacroiliac joint pain. After all, such joint pain affects 15 to 20% of the world’s population. The question is: how do you know if your SI joints are the cause of your pain? The answer is: by looking out for relevant symptoms. Here are 5 SI joint pain symptoms and some of their potential causes. The sacroiliac joints are located at the bottom of the spine in close proximity to the hips, connecting the ilium and the sacrum bones. These joints are vitally important in regulating body weight throughout the pelvis, reducing the stress of this weight so that it doesn’t cause any undue pain. The problems start when the sacrum and ilium bones lose alignment within the SI joints. As this happens, the weight of the body applies pressure to the nerve endings in the joints. This results in a shooting pain that is, at best, extremely uncomfortable, and, at worst, physically debilitating. There are quite a few sacroiliac joint pain symptoms, some of which involve pain, some of which involve posture, and some of which involve coordination. While all of these symptoms alone can be indicative of other ailments, all of these symptoms together are typically indicative of sacroiliac joint issues. One of the most obvious symptoms that your SI joints are impaired is if your lower back is in pain. Though lower back pain can be indicative of other physical ailments, it’s very often indicative of misaligned SI joints. 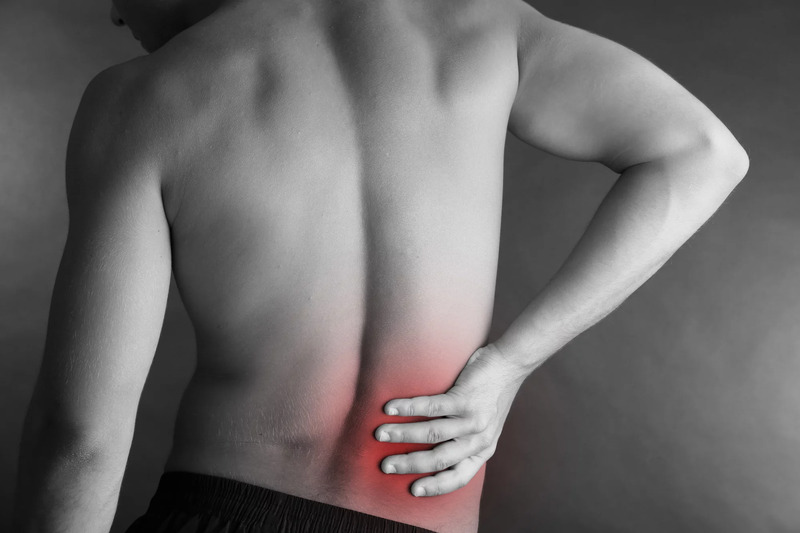 Typically, this pain will exist in one side of the lower back. However, if both SI joints have been impaired, you’ll be able to feel it on both sides of your body. Another common sign of sacroiliac joint issues is rigidity. If you’re feeling stiffness in your pelvic area, your SI joints could very well be the cause. Generally, this rigidity will prevent you from moving in the way that you would normally move. You might have to exert an unusual amount of energy in order to maneuver your body. One of the fairly common sacroiliac joint pain symptoms is a lack of balance. If you have trouble walking in a straight line, your SI joints could be to blame. This lack of balance typically occurs because the affected individual feels as if his or her lower back is going to give out. This can cause said individual to favor one side of the body over the other. Do you feel as if your legs are going to give out every time you stand up? This is another common symptom of sacroiliac joint dysfunction. Pelvic pain can come from a variety of different ailments. However, SI joint misalignment is one of the most common. Impaired SI joints can cause a shooting and stinging pain to travel through your groin area. This is especially true when you stand up or walk. There is no shortage of causes of SI joint pain. Everything from diseases to injuries and improper movement can cause severe SI joint pain. Some of the more common causes are listed below. Did you know that the way you walk can actually lead to pain and discomfort in your back? Often times, an abnormal walking style will lead to SI joint misalignment. Abnormal walking styles come about for a number of different reasons. In some cases, they arise simply because one leg is longer than the other. In other cases, they arise due to bad habits. Often times, due to the seismic changes in their bodies, pregnant women will develop abnormal walking styles. Fortunately, in most cases, after they have delivered their babies, their walking styles go back to normal. Gout is a form of arthritis which arises when an excess of uric acid develops in the body. Unfortunately, this acid travels to the joints, where it solidifies and causes severe pain. While the joints in the feet are the ones which are most commonly affected by gout, the SI joints can be affected by gout as well. Gout is not a condition which presents itself at all times. Typically, it presents itself in short bursts, attacking quickly, and then retreating. Apart from gout, there are two types of arthritis which can cause SI joint pain. These are osteoarthritis and AS, or Ankylosing spondylitis. Osteoarthritis worsens with age, and involves the slow deterioration of cartilage in the body. It’s often accompanied by back pain, affecting the vertebrae and SI joints, particularly. AS is a form of inflammatory arthritis which causes rigidity in the spine. Those who suffer from this disease typically also suffer from SI joint pain. As was discussed above, pregnant women often encounter SI joint pain due to changes in their walking styles. However, a change in walking style isn’t the only way that SI joint pain can present itself in pregnant women. As hormones are released in the pregnant body, the body’s joints become more “stretchy”. This is done to allow for a more seamless delivery of the baby. Unfortunately, stretchy joints are also vulnerable joints. Therefore, pregnant women stand a good chance of experiencing pain in their sacroiliac joints. In some cases, SI joints will become impaired through simple injury. Losing your balance and falling, getting in an accident, or hurting yourself while playing basketball are all ways that your SI joints could become misaligned. Experiencing Sacroiliac Joint Pain Symptoms? Are you experiencing SI joint pain symptoms? Looking for treatment for these symptoms in the Hackettstown, New Jersey area? If so, the doctors at Executive Spine Surgery are the people to see. Using minimally invasive procedures, we have relieved sacroiliac joint pain in a variety of different patients. We would love to do the same for you.